What do Bill Clinton, Shinzo Abe, Bono, Bill Gates and I have in common? Every time we come to Switzerland, we end up spending a good part of our trip in Davos. None of us does so entirely by choice. The illustrious four gentlemen mentioned above end up in the alpine resort thanks to the annual World Economic Forum. And while I have in younger days seen to the VIPs swift transit from Zurich airport to said event, my link to Davos is of a more humble nature. For as long as I can remember, my family has picked the highest city in the alps as the base for vacations at altitude. I started out as a passenger in a fur-clad Davos Sled, and soon slip-slided my way through 6 consecutive winters of ski school on the bunny hills at the foot of Jakobshorn. In my final year, I even won the week's ski school race, against fierce competition from a field of Dutch kids who had just had their first encounter with the vertical dimension. It came as no surprise, then, when my dad eventually announced that he had bought a flat there, located a ways from the ski hills but very conveniently across the street from the golf club - a nod to evolving priorities. 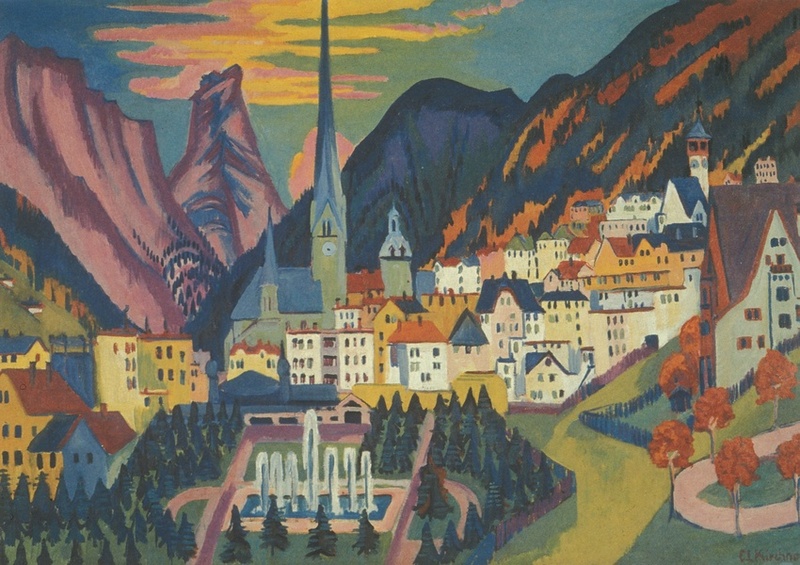 Indeed it was the town's versatility that has always been its biggest draw; for clearly Davos is no beauty. But it offers a vast range of winter and summer activities, which suits the diverse tastes and athletic prowess of visitors from all walks of life. Combine that with an ample choice of shopping and eating places, and ever-improving road links to Zurich, and you get an appealing mix for urban realists who value a reliable getaway more than picturesque scenery. Thus, Davos earned its place as a principal destination in our recent late-summer whirlwind tour of Switzerland, serving as a convenient and hospitable base from which to undertake hikes of the surrounding - less concrete-covered - mountains and valleys. And it had all the trappings of Swiss civilization (A Migros, a bakery, punctual public transit, 4G cell phone coverage, good water pressure...) that the home-sick traveller craves. "It's all about the people you meet there", is how the attractiveness of Davos is often described by the jet-set tribe. And it's really true: We met family, friends and acquaintances, all gathered for just a few days on their way to and from the four corners of the earth. Gathered around a rich table of food and wine, connections were made, experiences shared, ideas exchanged and plans drawn up - even if they were just for the next day's hike. Heads of State and captains of industry will agree: The Spirit of Davos is alive and well. We will be back!